Saddam Hussein's authoritarian rule condemned Iraqis to isolation for decades, but as instability and insecurity return to the country there are fears that abandoning the federal experiment too soon could have serious ramifications, particularly for minorities andsmaller communities. The sorry state that Iraq is in today illustrates, once again, the complexity of the country’s make up and the deep divisions and mistrust within. The idea of the democratic Iraq that was supposed to rise from the ashes of tyranny is gradually disintegrating. Only a month since US troops withdrew from Iraq and the country doesn’t look as though it can hold itself together. Prime Minister Nouri al-Maliki seems to be ignoring all the warning signs that Iraq may be sliding back toward the levels of violence seen in 2006 and 2007. Al-Maliki has been working to strengthen his power base by removing senior opposition politicians, his most controversial move being the issuing of an arrest warrant for Iraqi Vice President Tariq al-Hashimi, who has taken shelter in Iraqi Kurdistan. Meanwhile ordinary Iraqis fear that current violence could turn into a full blown, sectarian civil war between Shiite Muslims and Sunni Muslims. In terms of political discussions, what commentators seem to be focusing on is the debate as to which is better for Iraq now: federalism, which would see Iraq divided up into different autonomous or semi-autonomous regions, or centralism, which would see power held by Baghdad. Those who argue for federalism say that the model of centralised power has failed and that it is not likely to resolve the current political stalemate. They believe devolution of power is needed. Partially this is because they believe that the current political problems are caused not only by political differences, but by sectarian and ethnic divisions. The semi-autonomous region of Iraqi Kurdistan is often cited as an example of the federal model can work. And other provinces in Iraq want to replicate that model, asking to become similarly semi-autonomous regions themselves. They argue that by separating the larger factions – that is Sunni, Shiite and Kurds, for example – in the smaller regions, this would make sectarian differences easier to work with. It is true that the Kurdish region has been semi-independent for a longer time. And its success as a region, when compared to the rest of Iran, is not due to Baghdad, which has had virtually no control over it since 1991. The Kurdish model was fraught with problems at the beginning too but since 2003, when international sanctions on Iraq by the rest of the world, were lifted, the region has flourished, both economically and politically. There is an effective opposition in Iraqi Kurdistan’s parliament and the economy is progressing at a fast rate. There are some constraints as the democracy still needs nurturing – there are issues such as freedom of speech, press freedom and so forth – but minorities like the Christian and Turkmen communities enjoy more freedoms and are included in the political process. This could eventually lead to building trust within communities and get the political process on the right track. And on the whole, the model of Iraqi Kurdistan has been far more successful than what is happening in the rest of Iraq. One of the major flaws in arguments for a federal system in Iraq can be found in economics – or, in other words, agreeing on a framework within which the Iraq’s vast oil revenues can be shared. This must eventually have political ramifications. After over three decades of war, Iraq has very little commerce or industry and depends almost entirely on the income from oil exports. And due to the different geographical locations of Iraq’s natural resources, the current provincial set up – if converted into federal states – would disadvantage some regions and benefit others. Advocates of a centralist model believe the federal system would create injustices and give some provinces more power than others. However supporters of federalism, like the Kurds, believe the federal system can be made to work. Regions would be given more autonomy and could develop their own natural resources with most of their revenue eventually streamed back to the central government from where it could eventually benefit the region itself, and then the country as a whole. If the federal system was suitably managed in an equitable way, and politicians agreed on system to share wealth fairly, then a federal Iraq, made up of semi-autonomous regions, could work. The other camp, the advocates of a strong, centralised power over Iraq, argues that Iraq needs more centralised power – at least for now. Some centralists believe that only a strong man can save Iraqi from its woes and unite a country with so many ethnicities and sectarian divisions. The latter differences have led to the currently dysfunctional government, which cannot seem to agree on anything. Many of those who would rather see Iraq as one do not believe that the country’s ills are due to the multi-faceted sectarian and ethnic make up the inhabitants; they also believe previous conflicts were not entirely driven by those differences. The current Iraqi Prime Minister seems to have chosen this path, believing it is the right way forward for the country. In reality though, the centralised model has allowed one sect, the Shiites to hang onto power and has left other sects feeling marginalised. And a strong central government could work if Iraqi electors were voting for a party’s policies and their votes were not based on ethnicity or sectarian allegiances. In the last election, Ayed Allawi, the former Prime Minister and the head of the Iraqiya list – the major opposition to al-Maliki’s State of Law party – did manage to persuade some voters to choose him based on policy. But he failed to get his coalition of intricate and complex alliances in time to rule the country – and that was despite having one more parliamentary seat than al-Maliki’s bloc. Over the past years, the Iraqi government has squabbled and debated endlessly. And in the meantime, al-Maliki has become more authoritarian and has been calling for a centralized Iraq. The Kurdish, with their successful semi-autonomous state, have very different ideas and seem unlikely to agree to an Iraq run solely from Baghdad. And the Sunni Muslims have started to feel more marginalised and have been drawn closer to the Kurdish position. The model of a powerful, central controller of the country has been tried in Iraq. And it went horribly wrong, as was witnessed during Saddam Hussein’s regime. But federalism has barely been given a fair chance yet. Over the past nine years, what we have witnessed in Iraq has only been a half hearted attempt at decentralisation and the result has been a dysfunctional country. The idea of true federalism has been regarded with suspicion as the popular assumption is that a federal Iraq means a weaker Iraq. So far the politicians of Iraq have let their people down because they have not found a way to resolve their differences. 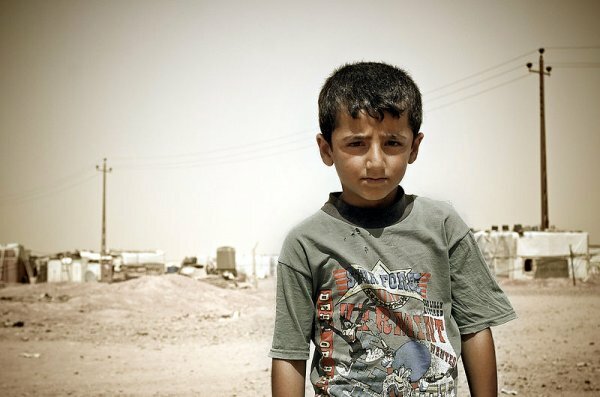 Iraq’s history is filled with instances of discrimination and violence against different sections of the community, including attempts at genocide. Keeping Iraq from disintegrating requires a new approach. Whether the country is run by a centralised power or split into federal states, the only way to build a consensus and maintain a functioning country is to build trust – which is not an easy task. The starting point needs to be policies of inclusion or reconciliation. Without this attitude, both models are doomed to failure at which the country will have to be forcibly divided, all of which would doubtless bring more conflict and misery for ordinary Iraqis who are often forgotten in this difficult debate.